You are deemed to have placed an order with us by giving an instruction to supply goods or services via our online checkout process, by fax, written communication or verbally by telephone. As part of our on-line checkout process you will be given the opportunity to check your order and to correct any errors prior to confirming the order. Once received, we will send you an order acknowledgement detailing the products you have ordered. The order is only accepted by upon dispatch of the ordered goods and confirmed via a despatch confirmation e-mail even if your payment has been processed immediately. We will notify you by phone or e-mail if we cannot accept your order or if you cancel the order prior to dispatch. All prices stated include VAT at the applicable rate. Where we charge separately for shipping, the appropriate rates are set out clearly in the product description. Prices may be altered at any time without prior notice. Should an incorrect price be displayed, Specialist Aggregates Ltd reserves the right to refuse orders as set out in Ordering From Us (above). In the case of a delivery being refused, re-directed or aborted, we reserve the right to pass on costs for re-delivery, or returning the product to our depot. If you wish to cancel your order please e-mail your details and order reference to sales@specialistaggregates.com or call 01889 580660. Any order cancellation must be made prior to product dispatch. Customers may cancel or return their order within 7 days for an exchange or refund, however, please be aware that the return or rejection of products which we have correctly supplied is costly. When in doubt about colour and form of a product please ask for samples prior to placing an order. Our products are heavy and ordering on the basis of "if I dont like it I can return it" can be an expensive mistake. d)	Delivery is non-refundable. Where a product is to be returned delivery is charged at £66.00 inc VAT per pallet delivery/big bag or £15.40 inc VAT per single pack. e)	Collection on products wishing to be returned is charged at £66.00 inc VAT per pallet delivery/big bag or £15.40 inc VAT per single pack. Unless otherwise stated, the copyright and other intellectual property rights in all material on this Website (including without limitation photographs and graphical images) are owned by us or our licensors. For the purposes of these terms and conditions, any use of extracts from this Website other than in accordance with that stated above for any purpose is prohibited. If you breach any of the terms in these terms and conditions, your permission to use this Website automatically terminates and you must immediately destroy any downloaded or printed extracts from this Website. We will have no obligations with respect to such material. We and our nominees will be free to copy, disclose, distribute, incorporate and otherwise use such material and all data, images, sounds text and other things embodied therein for any and all commercial or non-commercial purposes. (a) You do not remove, distort or otherwise alter the size or appearance of the www.specialistaggregates.com logo. To register with www.specialistaggregates.com you must be over eighteen years of age. Each registration is for a single user only. Responsibility for the security of any passwords issued rests with you and if you know or suspect that someone else knows your password, you should contact us immediately. We may suspend or cancel your registration immediately at our reasonable discretion or if you breach any of your obligations under these terms and conditions. While we endeavor to ensure that the information on this Website is correct, we do not warrant the accuracy and completeness of the material on this Website. We may make changes to the material on this Website, or to the products and prices described in it, at any time without notice. 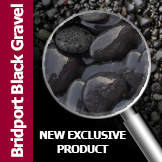 Whilst many of the images of products in use are those of materials supplied by Specialist Aggregates this is not exclusively so. Descriptions are provided for reference only and not to imply endorsement by, or association with, any organisation, company or individual.